This is the mob that seems to fly in Storm Peaks and apparently 100% chance to drop the mount with the same name. It probably has a 8-6hr respawn shared with a blue dragon with the same route. Take my word for it, if you see this thing kill it then ask questions later. 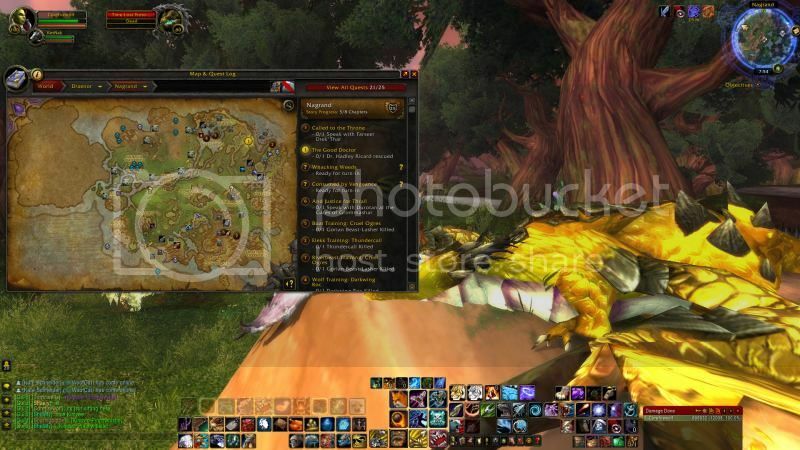 This NPC's ID (32153) is not for the Time-Lost Proto Drake that spawns in Storm Peaks. This is actually some strange NPC ID that is cached by WoW when you right-click and learn the 迷时始祖幼龙的缰绳 which is dropped by the actual Time-Lost Proto Drake. I saved this NPC's ID into my NPCScan list before I started my week-long camp for the TLPD in the Storm Peaks. I thought that perhaps there were two separate TLPDs that could spawn there. To those of you still hunting the TLPD, I am so sorry. :( As CRZ and connected realms are making it harder and harder to bag this mount. May luck be with those of you who still need it. Regardless, I am here to give my pointers and tips for camping TLPD. I have alot of information to share and don't want to flood a whole wowhead page with it. So instead, I will link you to my blog that has a whole page dedicated to it. 2. -With CRZ and connected realms, you're going to be better off trying to make friends with other campers than you are making enemies. -----2.a -Do not stack on other campers, try to find an open spawn location and camp that one. Stacking is rude and only makes the other camper dislike you. Good luck, have fun and hope my guides above help you. So i do not know if this is a glitch or wht but i found the body of it IN NAGRAND! I recommend anyone to go and look for this mount now. With the release of WoD, most people are in Draenor. I say this because after months and months of looking for this elusive drake, I found him about 5 minutes ago - there was no one else around, so I'm guessing most people (or those with a level 90-100) are in Draenor forgetting all about the TLPD, just like I did but was bored and had 10 minutes or so before I logged off and thought "why not go and see if the TLPD is around", so I did and - bam, gotcha! Blizzard, you people are professional trolls and I love you. Can anyone confirm if the TLPD had it's spawn timer reduced? I can only find speculation about it and nothing definite. All other rares have had their timers reduced, this has been confirmed by players. Hi guys, I am currently tracking the TLPD on Grizzly Hills server and have a Discord server dedicated to doing this. WoWHead won't let me post links ATM but if you contact me on Twitter at "Zombchicken" or email me at thezombiemaker@aol.com or just PM me I can get you an invite to join the Discord. Myself and my community will be trying hard to track this mount down and get it if anyone wants in.